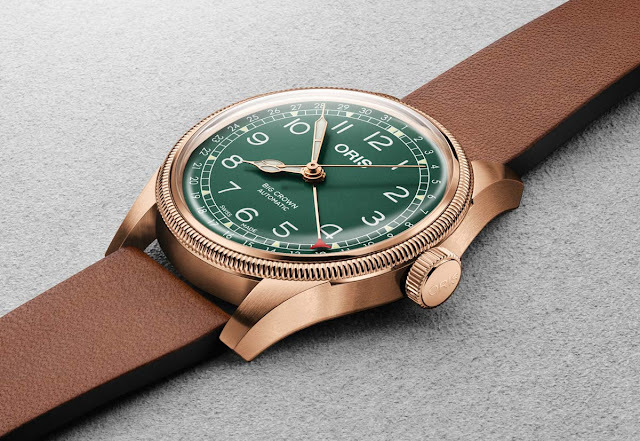 In 1938, Oris introduced a watch designed for pilots characterized by an oversized crown so that the time could be easily adjusted even while wearing gloves. Additionally, the watch also featured a date indicated by a central pointer hand. Over time, this model became a symbol of the Oris watchmaking heritage. 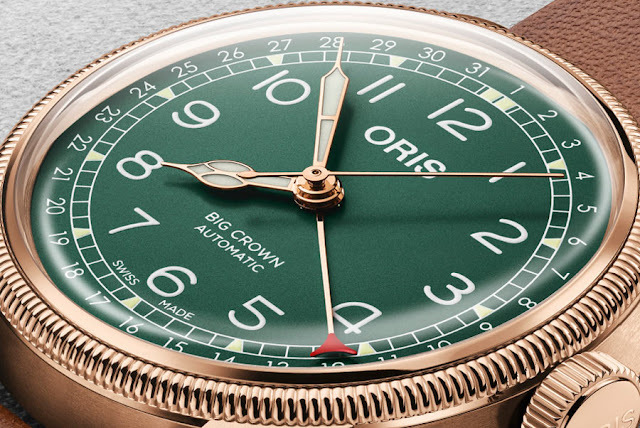 To mark the 80th anniversary of this landmark watch, Oris has created the Big Crown Pointer Date 80th Anniversary Edition, a special piece housed in a 40 mm case crafted from bronze featuring a fluted bezel, an oversized crown and a striking green dial. 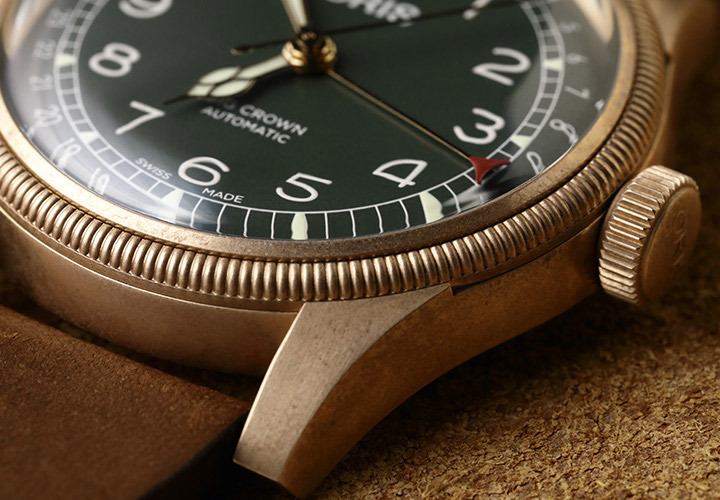 The choice of bronze for the case material adds appeal to this model. In fact, bronze patinates naturally as it oxidises, making each watch somehow unique. 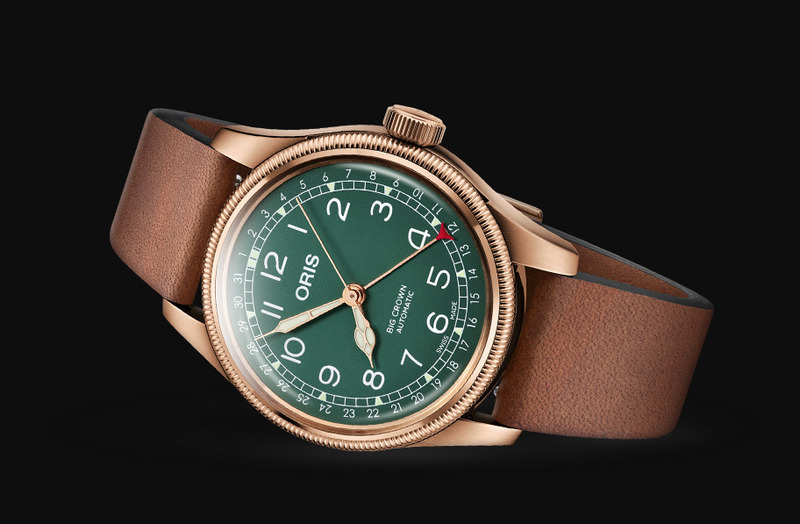 Moreover, bronze harmonizes very well with the deep green of the dial. The screw-in security crown contributes to guarantee water resistance up to 50 metres / 165 feet. The dial is protected by a domed sapphire crystal with anti-reflective coating inside. Hour and minute hands are filled with Super-LumiNova C1/C3 for enhanced visibility with poor lighting. The same luminescent material is used to print the numerals. 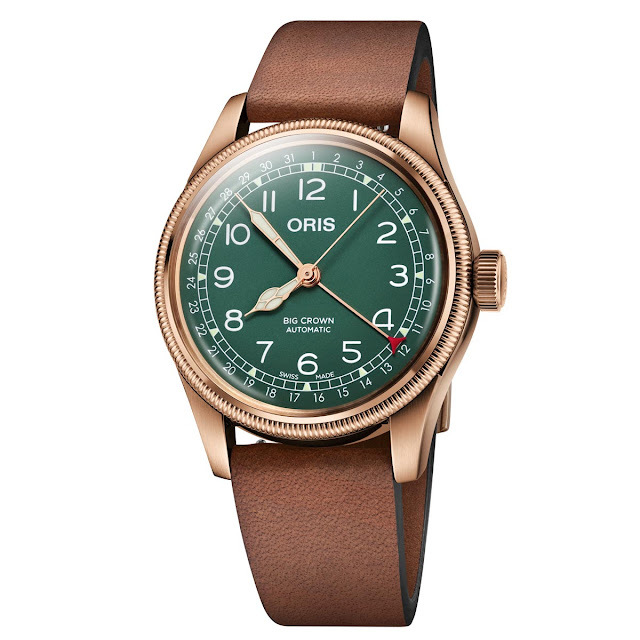 The Oris 754 automatic movement is based on the Sellita SW200-1 and beats at a frequency of 4 Hz (28,800 vph) with a power reserve of 38 hours.